Your teacup is fabulous! Wow! That teacup book is amazing! Have a most lovely week! 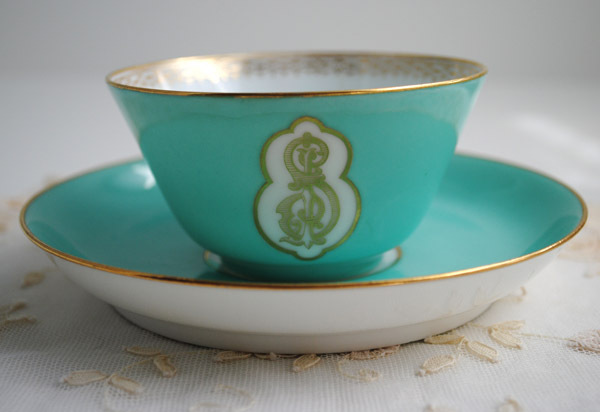 Your aqua tea cup is swoon worthy! I adore that colour. Please sign me up for your Giveaway. Thank you. Terri, I love the tea cup and it is elegantly simple. It would have caught my eye for sure . Your art is so pretty and well crafted. To me your art always appears what I believe it is, works of love. 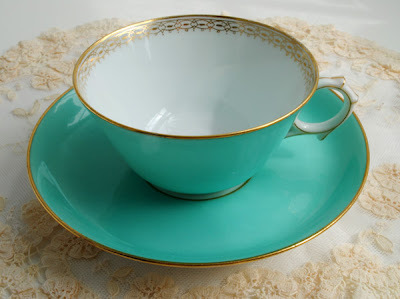 Terri what a beautiful turquoise teacup! the color is so rich and vibrant. Your teacup pages are so beautiful too! please come and visit me this week. 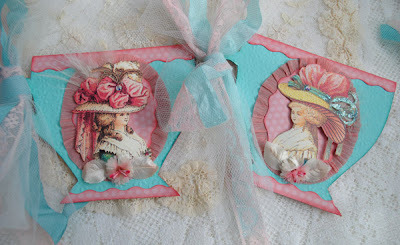 P.S Thanks for the info on my teacup and saucer a few weeks ago, so interesting and good info to know! 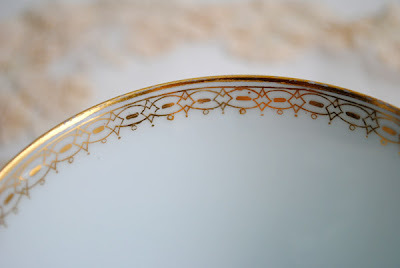 Terrie- your tea cup is stunning. I look forward to hearing more about your give away and looking into the marie antoinette swap. Thanks for cohosting this fab event! That is one of the prettiest teacups I've seen! I loce the beautiful colour of this cup: And also the MA Tea Cup Book Swap!! What a beautiful cup Terri. It's has a classic stylish French simplicity. That aqua colour is perfect. I love your teacup book elements too. It looks like being a wonderful project for you all to share. I have also been having awful trouble comments on blogger. oh, how I love this bright aqua of your cup. This is one of my fav colors. Love the tea cup book also. You are such an artist in this cute romantic things. I love the colour of your teacup. Have a lovely day. My comments don´t arrive to your blog!!! Beautiful... gorgeous color and the inside rim is exquisite! Thanks for sharing. Your tea cup this week is just wonderful! So elegant and exquisite in that beautiful aqua colour with gold! Unfortunately I can't help you identify the backstamp, although I've already made a little research. Congratulations for having bought that beauty! This is so beautiful. I love your cup and your teacup book is stunning. I, too, love those colors. My in-laws may have sold their house...which would mean...tea cups! Well, boullion cups, anyway! I am cracing tea cups more every week!!! 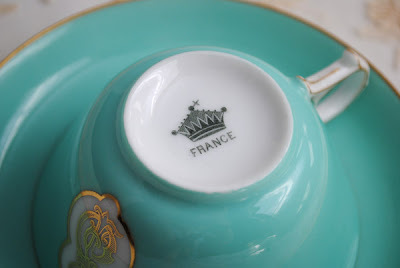 Your monogramed aqua teacup is lovely! I don't recognize that backstamp either. But I'm sure someone knows. 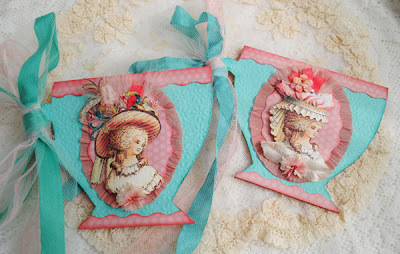 And what pretty teacup tags!!! Stunning teacup! I love the color! OH my...I looove aqua ...so beautiful Terri!! Just a dazzling spirit all in aqua-blue/...one of ym fave colors!! I wonder what it would be like to see a picture of aaaaall your teacups together? a beautiful rainbow and array of charmers!! Lovely post of treasures!. ooh those are so pretty...super-wonderful as always! 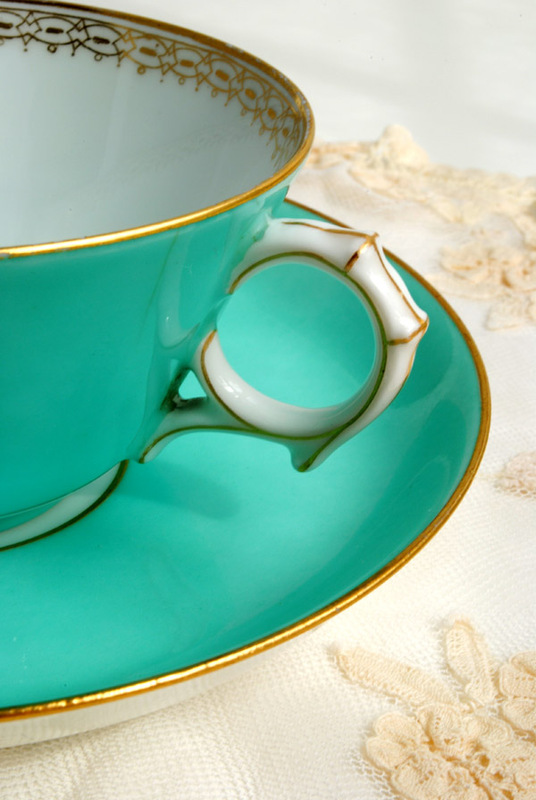 The color of that tea cup is amazing, my favorite color these days! Your art work is beautiful, I do hope you consider joining in one of my swaps one day. Happy Teacup Tuesday! 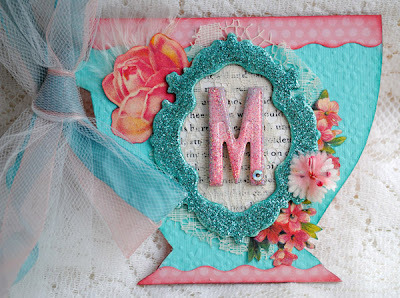 Such a beautiful and colorful post... my favorite color (besides pink!). Such pretty artwork too. 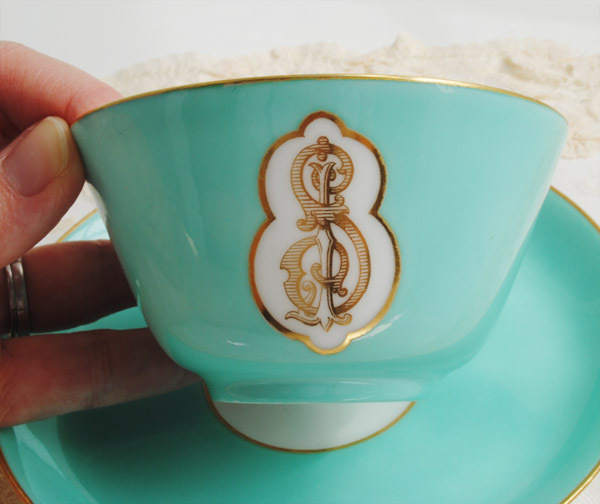 What a beautiful teacup - my favorite color AND with my last initial on it. Gorgeous. My daughter's name is Sarah and she will swoon when I show her your post here! The colour is happiness itself, isn't it?! I love it, and I'm so glad you shared it! Tea cup Tuesda's rule! I miss joining in on all the fun! Maybe next week. Wow Terri!! 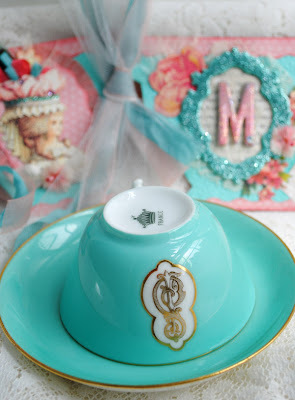 That cup is just lovely..that color always makes me dream of Tiffany's.....and diamonds....aaaaahhhhhh....Can I just say thanks so much for linking up to my Tea Party today?! I thank you for joining me. I will never know or really question the joy a simple tea cup can bring to so many but I feel so lucky to know it's precious secret and beauty. On another note, that book is amazing. I can not fathom the talent it takes to do that. I have wanted to host a M Antoinette tea party so bad and this might just be the inspiration I need. Do you find your graphics online somewhere. Those would be neat cut out and placed on sticks as cupcake toppers! How cute! HAve a wonderful week. what a gorgeous tea cup! I just love the aqua shade! 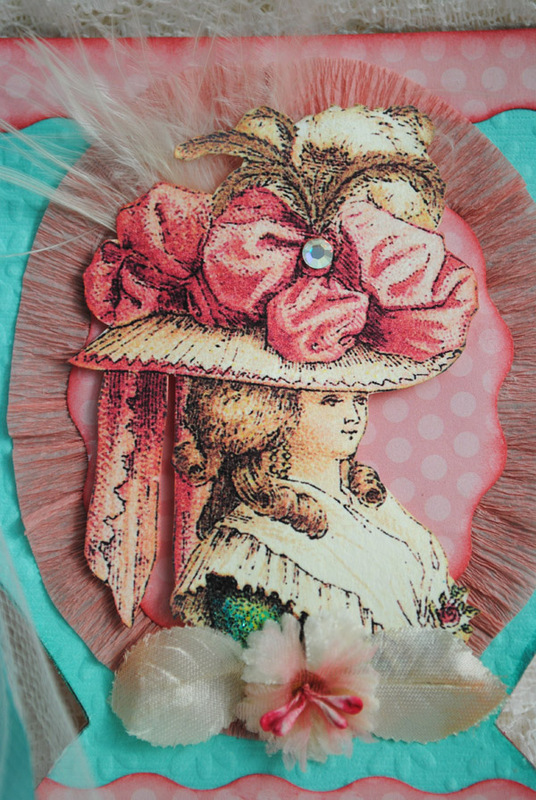 and your sweet altered teacup art is GORGEOUS! love them so much! Your cup is so stunning, even the crown stamp is gorgeous. The pages you did for the book are also amazing. I think the color combo is so incredibly beautiful and I sigh that I did not join in...but I am soooooo happy that YOU did. The colors are just unbelievable! I love your creativity and creations. Oh....I could visit your blog all day. Hi Terry! I'm so happy you found my blog. I've been visiting yours for some time now. I love the colors in this post. The cup is beautiful and I love the Marie work you have done. Such wonderful texture and eye catching colors. Nice job! Terri, your tea cup is beautiful, I love that color!! And the monogram is so elegant! 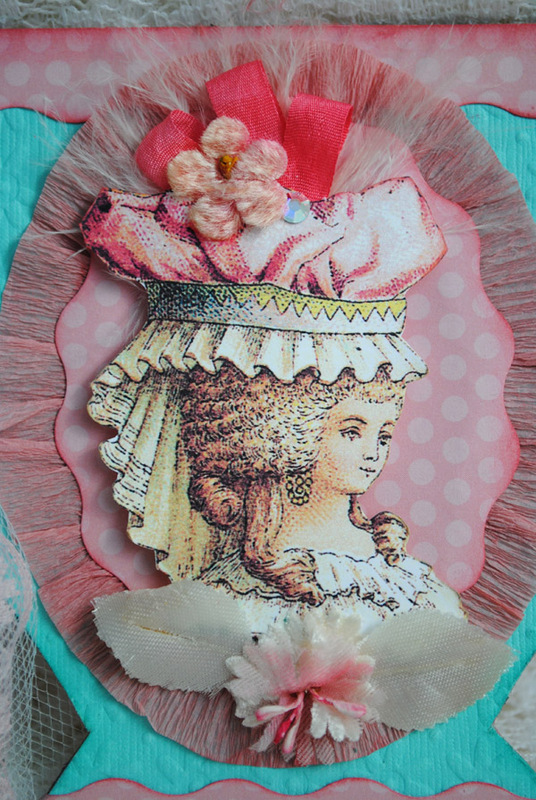 And, your tea cup pages are deliciously beautiful! I'm so thrilled that I will be getting one. Yay! What a vibrant colour that cup is!! Must be lovely to drink out of :-) Your collages are wonderful too...as always. This is lovely, Terri! I recently participated in a swap that you hosted; it was my first ever, and I really enjoyed it! Thank you! I love reading your blog posts, and have tried my hand at a few of your tutorials. Soon, I hope to have my blog started so I can meet other people who enjoy the same things. You have been an inspiration to me. what a fabulous teacup!!! 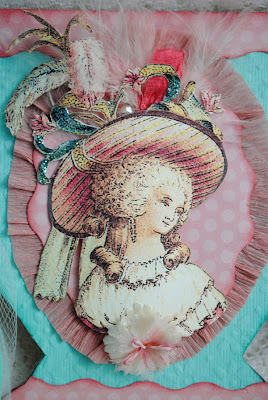 also a fab blog! you have 1 extra follower!! !